–A clean, modern design with gas lift action mounted on a 5 star base with glides. 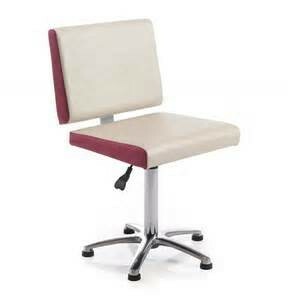 The salsa nail client chair is available in any REM colour, including two tone. The seat is mounted on a gas lift stem and a chrome 5 star base with glides for client comfort and safety.